The Sawmill Restaurants – Home Style. Home Town. Home Style Cooking. Home Town Friendly. 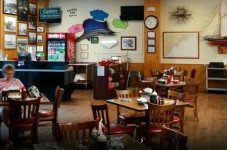 Home cooking and friendly service is what The Sawmill is all about, serving breakfast, lunch and dinner in a comfortable setting. Both Sawmills are dining landmarks for locals and visitors alike. Just good food, great service and plenty of it! 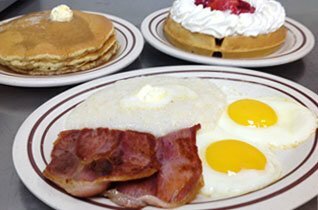 Breakfast at the Sawmill is a tradition with local families, because we offer a wide variety of favorites cooked to order, from eggs, to pancakes to waffles and more. The Sawmill Grill offers pick up and full service catering for all occasions. 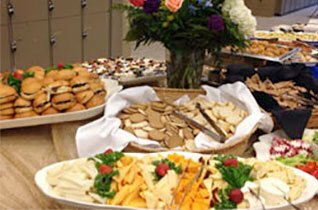 Call us for your catering needs large or small. Order for ready pick up at either restaurant location or we can deliver to your event. 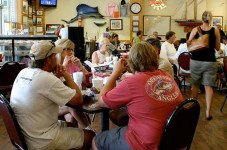 Calabash, NC is famous for it's crisp and tender fried fish, shrimp and chips. 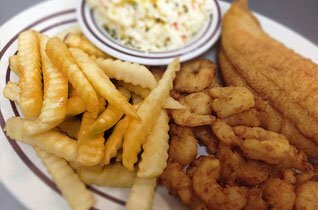 We know Calabash from flounder to catfish and serve it with style and a smile. Come try our low calorie, high taste meat and veggie wraps. Pair them with soup or salad or your favorite side to make an outstanding lunch for a little change. 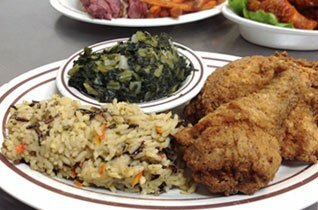 You'd expect The Sawmill to cook up crispy and tender Southern Fried Chicken like grandma used to make. Partnered with wild rice and collard greens. Comfort food for all. Looking for a cool, healthy treat? 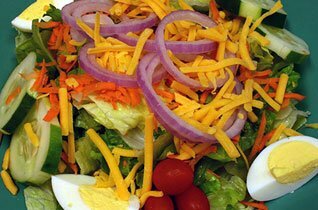 Try a Sawmill Chef's Salad with farm fresh vegetables. The perfect start to any meal. While it’s not fancy, it’s pretty darn comfortable at the Sawmill Restaurant, whether you choose to dine in our Hampstead location or in Monkey Junction. 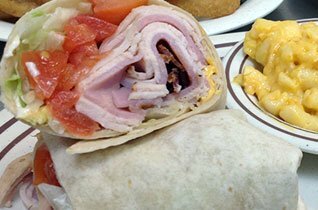 You’ll find the same downhome food and friendly service that will keep you coming back. Dine where the locals do. At The Sawmill Restaurant you know your getting hometown value. Come in for good, honest, homestyle cooking at neighborly prices—you can’t beat the Sawmill Grill.